Money to help drive innovation in the field crop sector is flowing to four clusters through the Canadian Agricultural Partnership. Clusters involving barley, wheat, diverse field crops and soybeans are getting a combined $39.3 million dollars over five years for various initiatives. Chip in contributions from industry, and the dollar amount grows to $67.7 million. 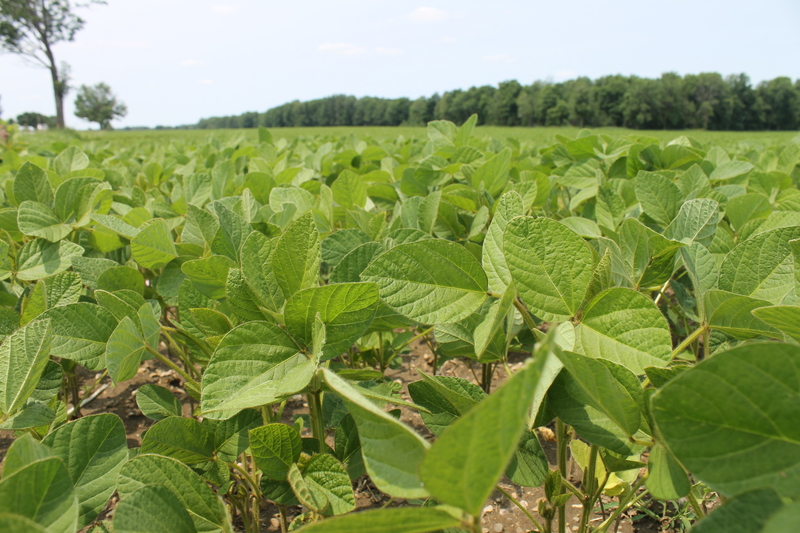 The Soybean Cluster will get $5.4 million to help Canadian soybean crops become more resilient and productive, increase the geographic range for growing crops and benefit the environment. The Cluster will be led by the Canadian Field Crop Research Alliance. For barley, $6.3 million will help improve productivity in the science and technology of using barley for food and increase disease resistance. The Barley Council of Canada is taking the lead on that project. In the Diverse Field Crop Cluster, $13.7 million will help focus on variety development, crop protection, production agronomy and value added practices to support diverse crop growth. That cluster will be led by Ag-West Bio Inc.
And for wheat, $13.9 million will be spent with the goal to deliver higher-yielding wheat varieties to producers, and to develop the next generation of Fusarium Head Blight resistant varieties. The Cluster will be led by the Canadian Wheat Research Coalition. The crop sector represents $25 billion in farm gate receipts, $21 billion in exports and supports thousands of jobs across the country while expanding markets for the sector’s safe, high-quality products. “The government of Canada is proud to work side-by-side with industry to help keep the Canadian field crops sector on the cutting edge. Demand for our field crops continues to grow and these investments in innovation and research will help position our farmers to grow top quality products sustainably, while meeting consumer demands at home and abroad for years to come,” said Lawrence MacAulay, Minister of Agriculture and Agri-Food.